While Facebook tries to dominate the universe even more with its implementation of Instant Articles, it is throwing journalists a small piece of the social network with two new initiative, Mentions and Signal. 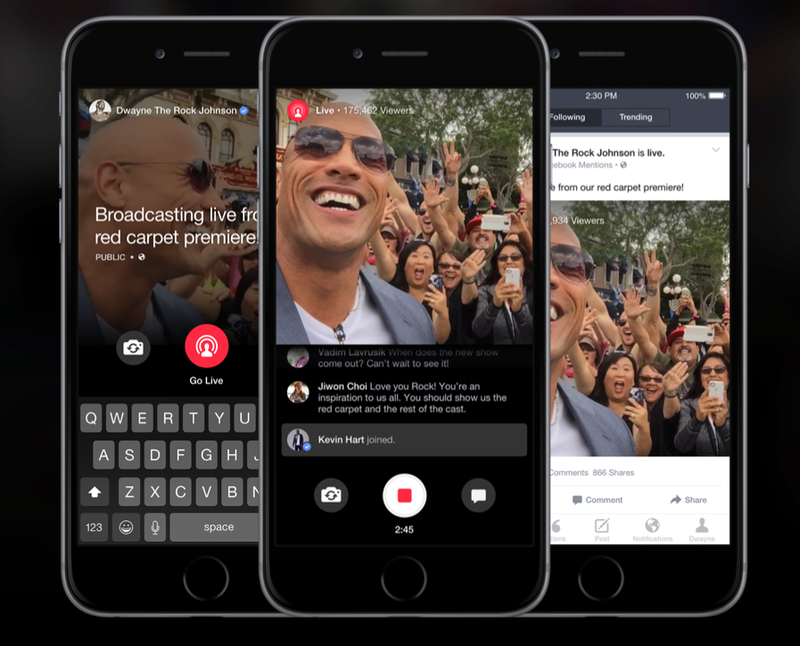 Facebook Mentions allows verified journalists (along with celebrities and other public figures) to broadcast live to his or her Facebook followers. It’s a good branding tool to show your readers how you’re covering the news or event. First, create a professional Facebook page, much like you do with your personal account. The difference is that a Page allows you to get followers, who can see your activity and posts. Next, you can get the page verified by Facebook, so that you can start using the live video function available through Mentions. Mentions also allows you to initiate Q and As, and share news across Facebook, Instagram and Twitter all at once. It also allows you to see trending posts in one place. 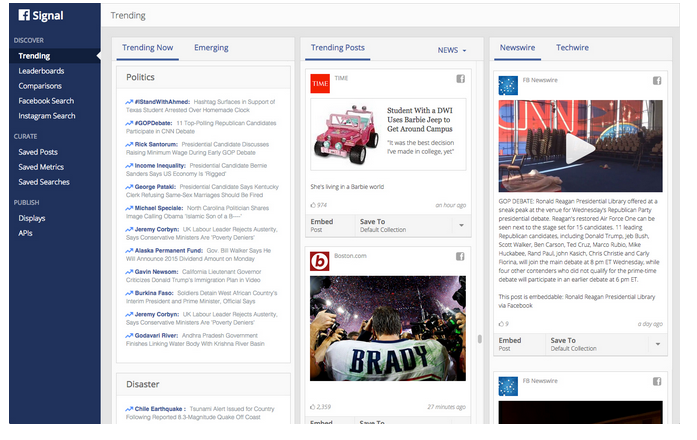 Through Signals, you can establish a dashboard on trending topics. Facebook Signal is the social network’s newest reporting tool. It’s worth exploring, because it can allow you to track social mentions of local topics, search Instagram and Facebook for posts on any topic, and create a curated list of mentions, much like Storify. These collections can be embedded into your favorite CMS. Request access to Facebook Signal here. Share with us your uses of Mentions and Signal. This entry was posted in Digital tools and tagged digital tools. Bookmark the permalink.